So you’re going to make your homecoming mum yourself! Alright, there’s a few things you’ll need to get you started. We’ve complied a list for you to take shopping. But first things first. What size are you thinking about making? Are you going small? Say a single? Or are you going for the “go big of go home” wow factor? 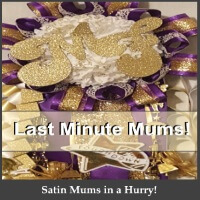 Before you consider making a mum yourself, check out these two articles on whether it’s cheaper to make one yourself or order one, and what the top trends are for this year. 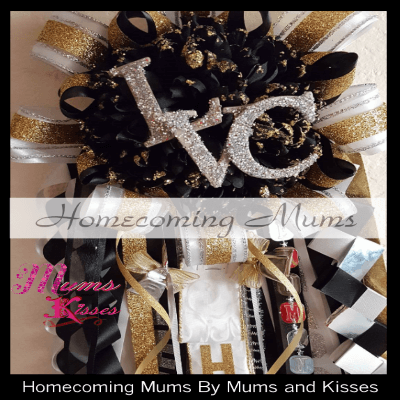 Homecoming Mum Prices – Making it yourself vs having one made. Which is better for your budget? 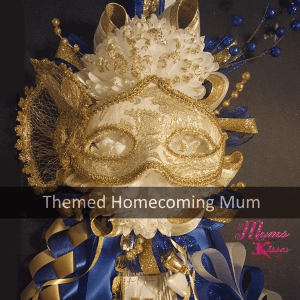 The top 25 homecoming mum trends of this year! Deciding to go it alone is a note worthy decision. Remember making it yourself takes time, so don’t rush it. Where to get the supplies are important too. The store you choose to get your supplies at does matter. Choosing a craft store like Hobby Lobby maybe good if you’re looking to make something small and quick. If you’re looking to make something more “wow-ing” then a custom homecoming store is the way to go. Mum stores will have the details, the custom homecoming braids and the bling you need. 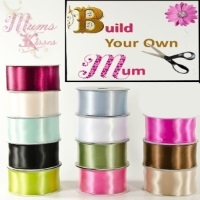 Of course we’re going to recommend Mums and Kisses for your custom supplies. A store that’s dedicated to nothing but homecoming mums, it’s a cute French boutique located in Crowley, Texas. Most prices are under the craft shops prices and their selection of braids and bling is awe inspiring, and customers come from all over the state to get their perfect mum supplies. Now on to the list. Now that you’ve thought about what size you want to make, and considered your budget. This list we’ll help you determine how much and what to buy. This is a list that when making one at home you’ll need. A professional mum maker will use much more than this list, but for the basic at home mum, this list will suffice. For a single, you’ll want to start with a flower and a base. Then move on to loops and points for the around the flower décor. 3 yards of ribbon for your loops (You’ll probably want 2 different types of ribbon. 1.5inch and 7/8 inch to lay over the top) each loop = 6 inches long, folded in half and stapled. 3 yards of ribbon for your points. (You’ll probably want 2 different types of ribbon. 1.5inch and 7/8 inch to lay over the top) each loop = 6 inches long, folded in half and stapled. A centerpiece for your mum head. This may be a glitter letter, a sport’s ball, a name, a teddy bear etc. Neckstrap? Or use 2(yards) satin ribbon and staple it in a necklace shape. For 14-18 strips of ribbon 30″ to 1 yard. You’ll need about 18- 20 yards of acetate or satin ribbon 1.5 inches wide. 2- 4 braids – military diamond back etc. Charms like photos or little frames. All in our preference. More staples and glue sticks. You got all that? If you want to take this list with you to the store, copy and paste the list part to a word document or notepad or even screenshot it and off to the store. Remember the cost is going to be up to you. If you’re making a double or triple or even mega, you’ll need want to multiply this list by the size you’re doing. So a triple will be the single list times 3. There are lots of videos on you tube to help you with the step by step if you need it. We hope this homecoming mum supply list helps you if you’re taking on the task of making your own mum. If not, check out our mums and see if we can’t make one for you.